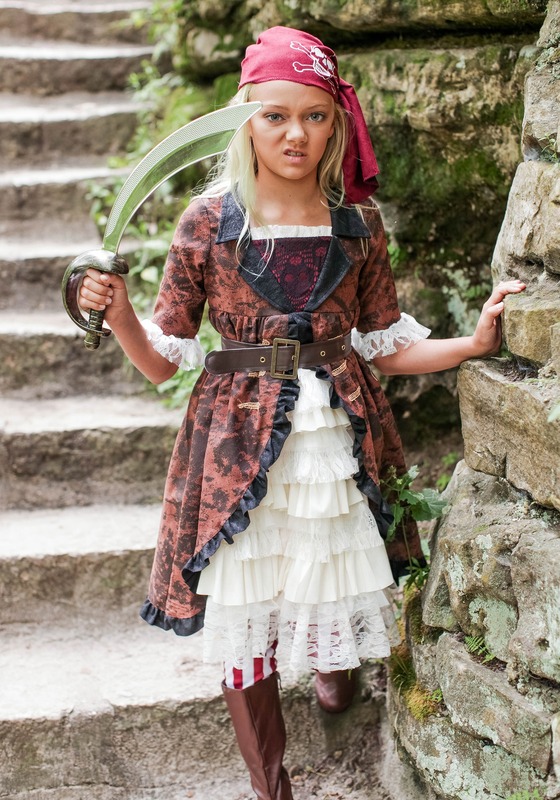 Your little girl has always wanted to be a pirate. 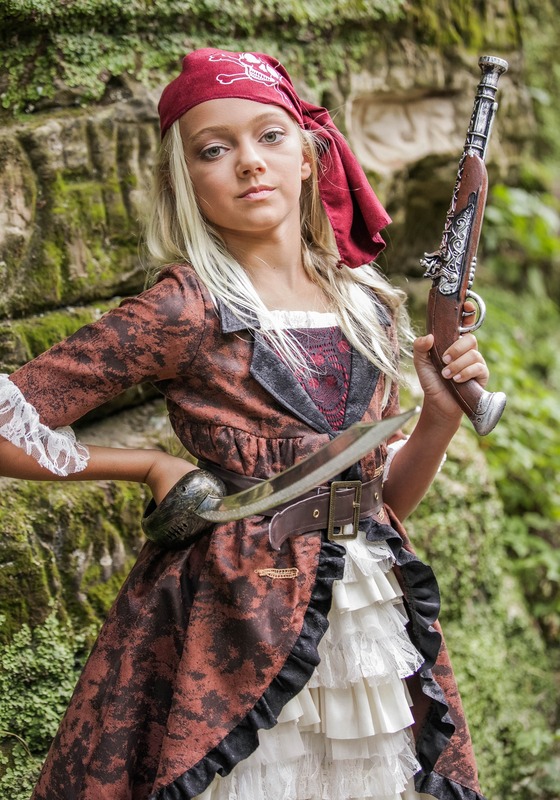 She used to walk around with an eye patch for days at a time, she’s perfected her pirate lingo, and she’s even been begging you to get her a parrot for her next birthday (Don't; they live forever). You can keep pretending to decide about the bird, while in the meantime, foster her dreams in other ways! Like last weekend, when you took her to sail on a friends boat over the weekend only to find out—she get terrible, terrible, awful, seasickness. No ginger, anti-nausea medication, or other remedies could help at all. We get that she’s now pretty upset. 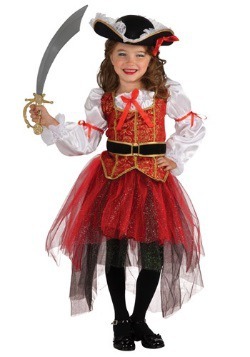 But lift her chin and ask her this: what do you call a pirate on dry land? 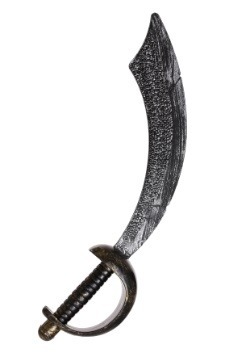 Why, a pirate of course! 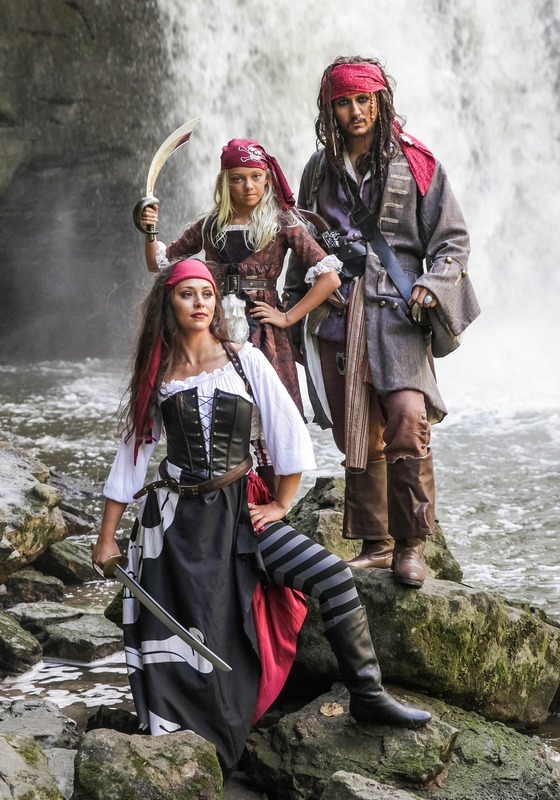 The sea is just the pirate's traditional M.O. but she can totally hone her salty dog persona closer to home. People always forget that pirates had forts and colonies, and their own little towns dotted all across the Caribbean! 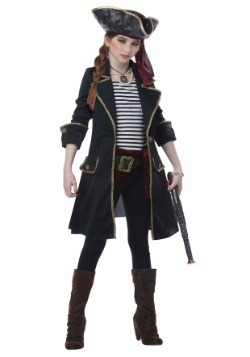 So pick up this Girl’s Brown Coat Pirate Costume and let her see that a pirate without a ship is still a pirate. 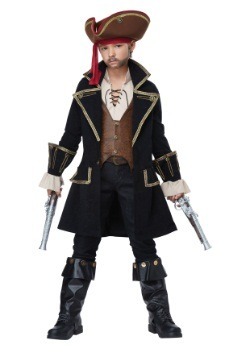 This fearsome pirate garb is perfect for a land-lubbing pirate who took on the responsibility of making sure safe harbors remain safe (for pirate passage, that is). 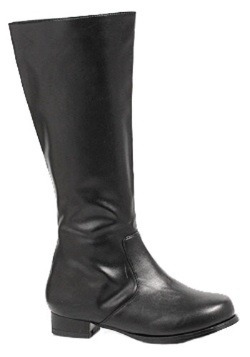 This costume features a brown faux suede dress with white lace trim on the sleeves and inset. The top skirt boasts mesh and lace layers atop an ivory underskirt. 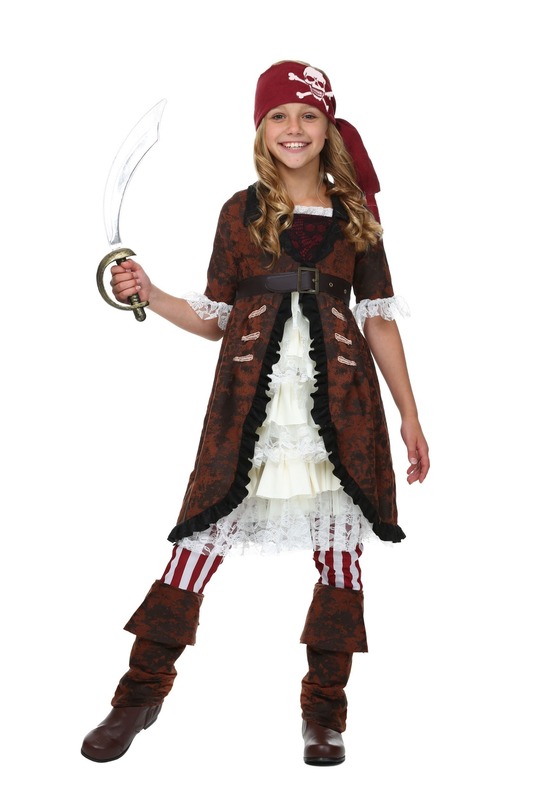 Included red and white striped leggings add a touch of flair and classic pirate styling. 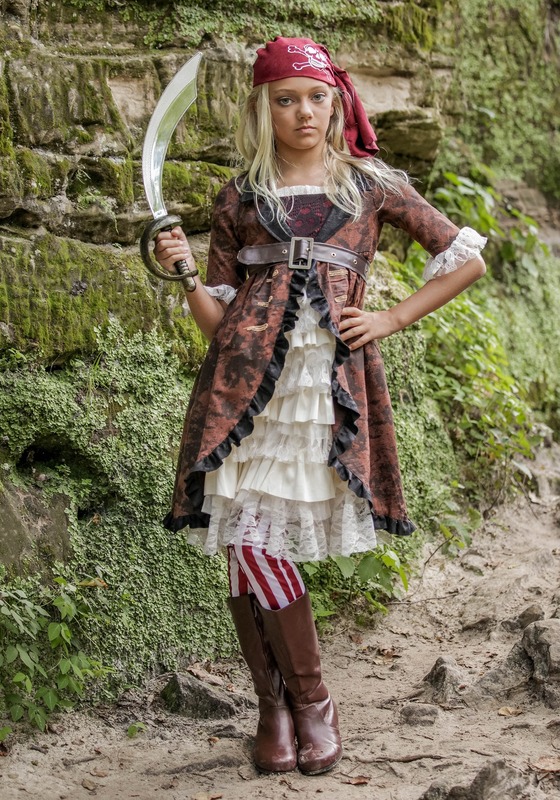 Faux suede boot tops, a faux leather belt, and a maroon head scarf with skull and bones design complete the roguish look! You're doing a great job helping your kiddo through this adjustment phase. You deserve a medal or somtheing. 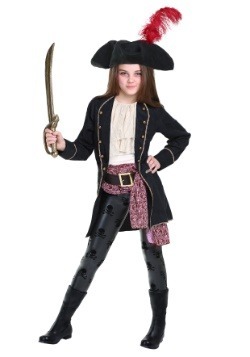 It helps that you gave her this outfit, which is everything a landlocked pirate might need to fulfill her dream! 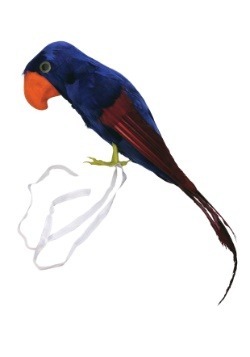 And you know what we said about that parrot? We may have been too hasty. 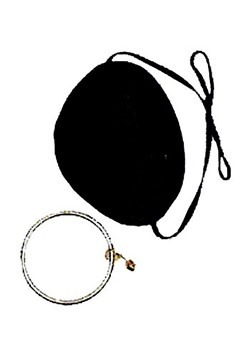 It is the perfect accessory to complete her pirate dream, even if she can’t sail on a ship. And she could really use some good news right now!